Growing up, we’d bet that all of us had extensive collections of Hot Wheels cars and related accessories. Eventually we progressed on to slot cars, then things with motors and wheels, and eventually, real cars. For many of us, our passion for automobiles can be traced back to our first Hot Wheels track set, complete with jumps, loops and clamps that provided plenty of gravity-induced acceleration. 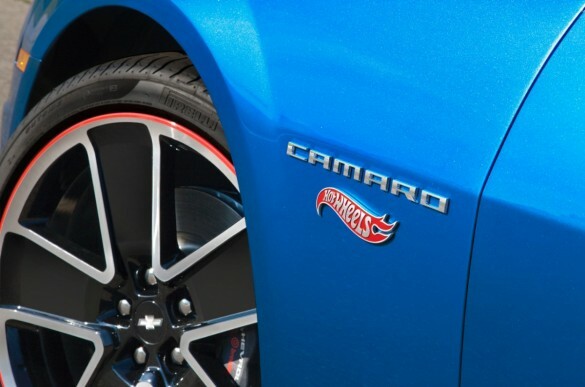 Chevy understands that some people never grow out of that, so it’s created an officially licensed Camaro Hot Wheels Edition, which made its official debut at this week’s SEMA show. 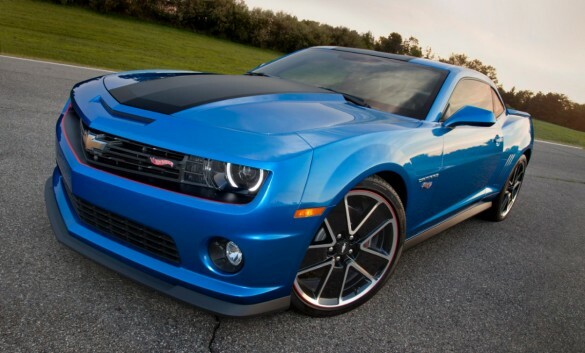 Available in both V-6 and V-8 versions, as well as coupe of convertible body styles, each special edition Camaro starts with a Kinetic Blue paint job with ghost flame graphics. 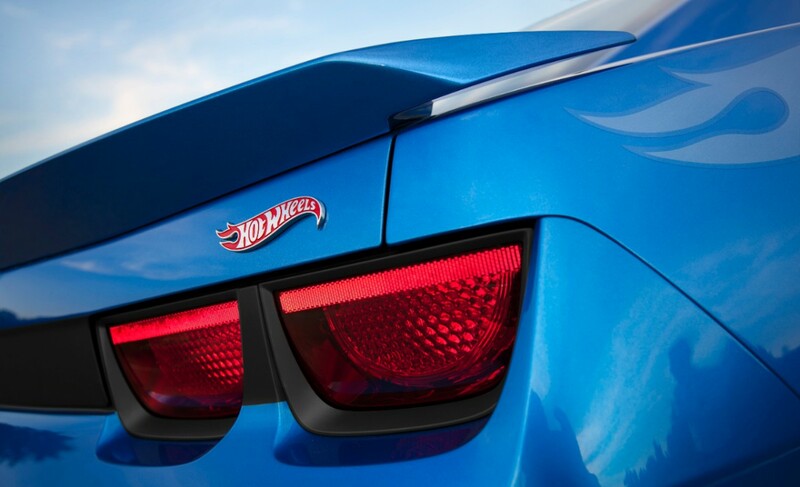 Next, the cars get a ZL1 upper grille, a ZL1 rear spoiler (coupes only), an aero body kit, 21-inch wheels (complete with the familiar red stripe), matte hood graphics, blackout taillight panel graphics and Hot Wheels logos. Inside, Hot Wheels cars get a black leather trimmed interior with red accent stitching and Hot Wheels logos on the seats and door sills. 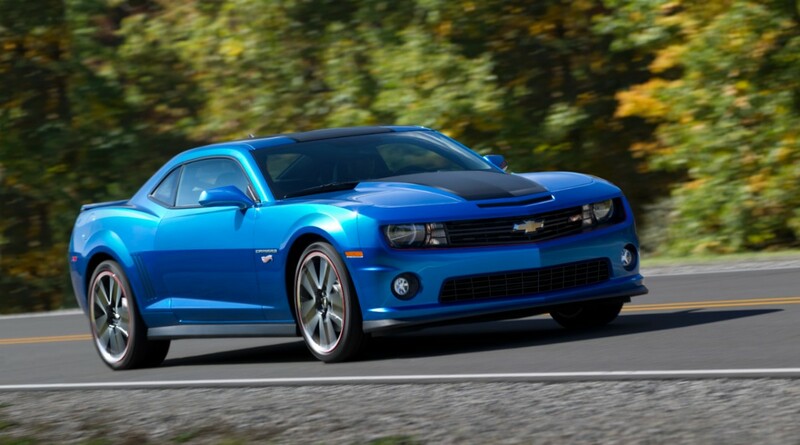 A limited run of Hot Wheels Camaros will be built in the first quarter of 2013, so we wouldn’t put off a trip to your local Chevy dealer if you want one parked in your own garage. The package will add $6,995 to the price of the car.